Having contributed to the building of pre-war Shanghai into the leading metropolis in the Far East, Shanghainese builders and construction firms played a critical role in the post war construction boom in Hong Kong as the city emerged as the Pearl of the Orient and were responsible for building some of the biggest landmarks (The Mandarin, Mei Foo Sun Chuen etc) and largest infrastructure projects (Cross Harbor Tunnel, MTR etc) of the period. While many of the builders such as Paul Y, Sung Foo Kee and Ngo Kee (to be covered later) came to HK around or after the Communists came to power in the mainland in 1949, at least four of these builders actually set up shop in HK before the War in the 1930s – Shanghai Yaik Sang, Sung Kee Zee & Sons, Dao Kee and Hsin Chong (the first three to be covered in this article and Hsin Chong to be covered in a later one). The founders of the three firms – YL Nie, TL Zee and PY Dao all hailed from Pudong district of Shanghai, the hometown of many Shanghainese builders and by 1948 they had formed their own clique in the colony – the HK Kiangsu-Chekiang Construction Association (僑港江浙建築會) with Nie as chairman and Zee as vice chairman, before joining the Cantonese dominated HK Building Contractors Association (now HK Construction Association) in the mid-1950s. Shanghai Yaik Sang Construction was probably the first Shanghainese builder in HK since its principal Yung-loong NIE (嚴雲龍, hereafter referred to as “Y.L. Nie”) arrived in the colony as early as 1931 and the firm continues to operate to this day under the management of his descendants. Y.L. Nie was born in Pudong in 1909 and received his formal education at the YMCA School in Shanghai. After school, he became involved in house painting in Shanghai and soon became an expert in the latest painting techniques. In 1931, he came to Hong Kong and soon was able to convince the Hong Kong Hotel in Central (at the site of the present Landmark) to adopt his technique which was relatively novel in Hong Kong at the time. The HK Hotel contract put him on the map and soon he won the building painting business of the Peninsula, HSBC and also a number of buildings owned by HK Land and earned the reputation of being the “paint expert”. His ties to the paint industry was long lasting and he served as honorary chairman of the HK Painting Contractors Association for many years. 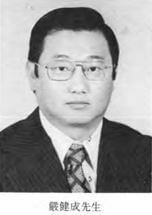 In 1936, he founded Shanghai Yaik Sang Construction (although the firm was not formally incorporated until 1963) and quickly established the firm as a honest and reliable building contractor. He remained in HK during the Japanese occupation during which he found work painting air raids shelters. When the War was over, the Jockey Club awarded Yaik Sang the contract to paint and clean up the Happy Valley racecourse which he completed within 10 days and was offered a complimentary membership as a bonus which he politely declined. From 1948 onwards, a number of Shanghainese textile industrialists began to set up cotton spinning mills in Hong Kong and Yaik Sang was involved in constructing mills for HK Spinners, Wyler Textiles and Kowloon Textile Industries. It also counted the Jardine group, China Light & Power and The Garden Co as clients. The late 1940s saw massive influx of refugees from the mainland into HK and many of the Shanghainese refugees settled in North Point, so much so that the district became known as “Little Shanghai” in the 1950s and 1960s. In 1950, Nie teamed up with Wong Jim-wan (黃展雲, aka Wong Peng-fei, 1917-2008), a Cantonese businessman from Dongguan and fellow Shanghainese businessman C.F. Yeh (葉宗芳, the father of the writer Sai-shing Sun 沈西城 and mentor to Chinachem Group founder Teddy Wang) to establish Yaik Hing Investment Co Ltd (益興建業, dissolved 2013) and opened the six story Winner House Hotel (雲華酒店) at 310 King’s Road in North Point. Under the management of Wong, the hotel’s Cantonese restaurant was very popular and Nie also earned the title of “Boss Nie” in North Point. 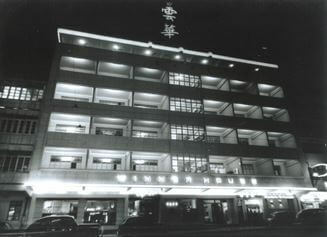 In 1963, Nie decided to re-develop the Winner House Hotel into a 21 story tall building (completed in 1966 and still called the Winner House 雲華大廈). They continued the Cantonese restaurant under the name of Yaik Sang Restaurant (益新飯店) which opened in a new location in Lockhart Road in Wanchai the same year. Over time Yaik Sang the restaurant became more famous than Yaik Sang the contractor and after several moves, the restaurant is still in business under the name of Yixin Restaurant (益新美食館) and managed by Wong’s youngest daughter May To. Outside of work, Nie was active in the local football circle in the 1950s as head of the Kwanghwa Athletic Club and Kitchee Sports Club and was also a longtime member of the Rotary Club of HK East. He ran Yaik Sang for over six decades and was succeeded by his son Peter Nie (嚴健成, 1938-), a UK trained civil engineer. In 1967, Yaik Sang was listed as a term contractor for the Land Forces and contractor for the Peak Tram Terminals. In 1976, the firm won the contract for Chefoo Garden from HK Land working in conjunction with Wong Tung & Partners and Mitchell MacPherson Brown. After the 1980s, Yaik Sang focused on smaller scale, higher end projects such as 24 Middle Gap Road in 1991. In 1994, the firm built Silverstrand in Clearwater Bay through Sanfield Yaik Sang (新輝益新建築), a joint venture formed in 1989 with Sanfield Construction, a subsidiary of Sun Hung Kai Properties. 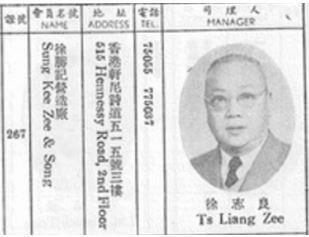 Established in Hong Kong in around 1933, Sung Kee Zee & Sons was probably the second Shanghainese builder in Hong Kong after Yaik Sang and its principal Ts-Liang Zee (徐志良, 1891-1959) was the vice chairman of the Shanghainese builder group established by Yaik Sang founder Y.L. Nie in 1948. There was a famous printing company of the same name in Shanghai but it is unclear whether there was any connection. According to the eulogy delivered by his friend of 50 years Wong Chu-choi (father of Chinney Alliance chairman Dr James Wong), C.L. Zee came from Pudong where many Shanghainese builders are from (including Nie) and was orphaned at a young age. At the age of 12 he followed his uncle to Korea where he worked as a carpenter’s apprentice. Through hardwork he rose to become a supervisor in the construction industry in Shanghai and started his own firm Sung Kee Zee. He came to Hong Kong at the age of 32 where he built a successful business. Little records are available about what projects Sung Kee Zee was involved in in Hong Kong, but it was one of seven contractors recommended by the architectural firm of Eric Cumine for the construction of the original Baptist Hospital building in 1958 alongside Yaik Sang and Hsin Heng. 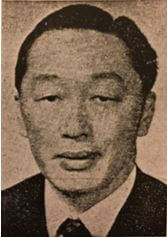 Zee was succeeded by his three sons – Janson Zee (徐辰星, 1914-1986), Charles Zee, and a third whose name I don’t know. Janson later immigrated to Canada where he died. According to the Company Registry, the firm was incorporated in 1968 but dissolved in 1976. 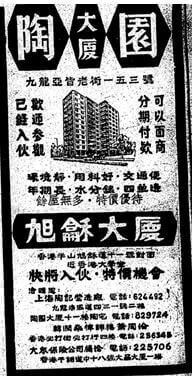 1965 Chinese advert of Dao Yuen Court and Kotewall Mansion with the number of Dao Kee and the home number of P.Y. Dao listed in the bottom. Dao Kee Construction was another Shanghainese construction firm which arrived in Hong Kong before the War, coming to the colony in 1938. However, unlike the two firms described above, Dao Kee already had a substantial business in Shanghai and at first the HK business was a branch of this. 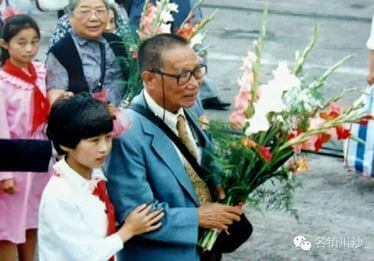 Born into a poor family in Pudong, Dao Kee’s founder P.Y. Dao (陶伯育, 1906-2006) only had a few years of formal schooling and joined the construction industry in Shanghai as an apprentice at the age of 14. Through hard work and being street smart, Dao rose to prominence in the Shanghai construction industry and by the age of 21 he was successful enough to be his own boss and established Dao Kee in Shanghai in 1927. By the 1930s, Dao Kee was a leading builder in Shanghai and was responsible for major projects such as the Hongkew Mansion (虹口大楼), Dufour Apartments (巨福公寓) in the French Concession with perhaps the most famous being the Liza Hardoon Building (迦陵大楼) completed in 1937. He also completed 500 miles of highway in Fukien province and Nanking West Railway Station which was the largest train station in China at the time. As the Sino-Japanese War progressed, a number of Shanghainese industrialists established factories in Hong Kong in the late 1930s and Shanghainese firms which hired Dao Kee to construct their HK plants during this period included the MSG maker Tien Chu V-Tsin, Chunghwa Book Store and New Asia Chemical Works. After the War, his business expanded to Taiwan, Borneo and Vietnam. In Hong Kong, Dao Kee developed two residential buildings in 1965 – the still standing Dao Yuen Court (陶園大廈, 12 storeys) on 153 Argyle Street in Homantin with PY Dao and his family living on the top floor and the Kotewall Court on Kotewall Road in Mid-Levels, which served as the staff quarters for Shanghai Commercial Bank and was sadly destroyed in the landslide disaster on June 18, 1972. P.Y. Dao visiting Qiaoguang Middle School in Pudong. P.Y. Dao was a major philanthropist in his hometown of Pudong dating back to the 1940s and in 1987, he funded the establishment of the Qiaoguang Middle School in Pudong. More recent projects completed by Dao Kee include Plaza 2000 on Russell Street in 1996 and the renovation of Choi Yuen Plaza in Sheung Shui in 2011. This article was first posted on 27th January 2017.